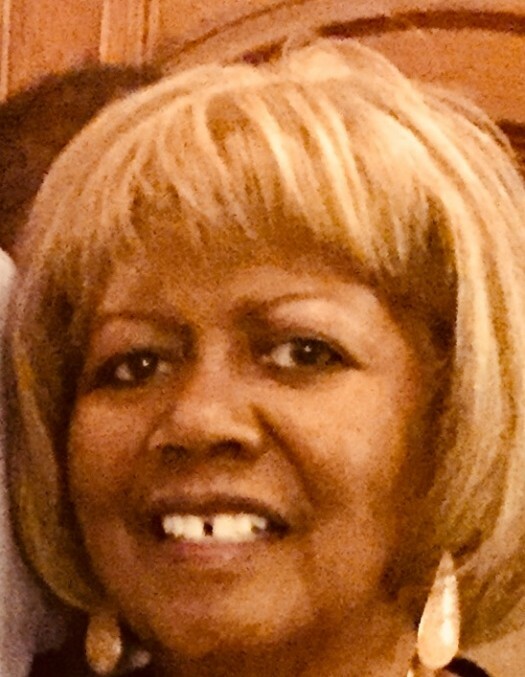 Courtney O. Allen, 72, of Atlanta, Georgia passed away on Tuesday, March 5, 2019. Courtney O. Allen was born on January 26, 1947, in Austin, Texas, to the late Johnny N. Allen, Sr., and Jewelle L. Allen. Courtney was the oldest of three siblings. Courtney’s father moved the family to Amarillo, Texas in 1949 to become the first and only coach at the new segregated Carver High School. She attended Hilltop Elementary School where she benefited from a nurturing environment that set high academic expectations and instilled a sense of community involvement at an early age. Her love of music and dance was refined through classical training. Courtney continued her education at Carver Junior/Senior High School where she excelled academically becoming a National Honor Society member, Student Council representative and the proud Drum Major for the Carver High School Dragons. Courtney was always a woman of faith which was formulated at the Johnson Chapel AME Church. Through the love and guidance of the Pastoral leaders and lay volunteers, Courtney’s love of giving was honed. Courtney chose to pursue her higher education at the prestigious Spelman College in Atlanta, Georgia. She began to develop lifelong friendships on her initial Amtrak train trip to Atlanta. The Spelman College sisterhood allowed her to further develop into the successful, intelligent, caring Woman that she became. Courtney was an active participant in the Class of 1968 activities to further promote sisterhood and fundraising for future Spelman Ladies. Courtney longed to travel and see the world. Upon graduation, she pursued a career with Delta Airlines as a flight attendant that spanned over twenty-five years. Courtney was a people person and interacting with the flying public was perfect for her. Her career path was not always smooth. In her first days at Delta, Courtney experienced the evil face of racism in the form of housing discrimination. Instead of accepting defeat Courtney joined a class action suit and was victorious against a landlord that refused to rent to African Americans. She always used intelligence and kindness to win over people. She skillfully helped ensure the safety of hundreds of passengers when her aircraft was hijacked to Cuba. After retiring from Delta she went to work for the Fulton County School District working at various campuses. She also was able to indulge her love of sports by working for the Atlanta Braves and Falcons organization for several years. Throughout her life, Courtney always had a servant's heart and freely and completely gave of herself to help others. Thusly, one of Courtney’s proudest memories was when she became a distinguished woman of Alpha Kappa Alpha Sorority, Incorporated, Nu Lambda Omega Chapter on January 18, 1998. Continuing the legacy of her mother, she served diligently to carry out the Sorority’s purpose and mission while in ‘Service to All Mankind’. Courtney leaves to cherish her memories, two brothers, Johnny N. (Buddy) Allen, Jr., of Denver, Colorado and James Allen of Amarillo, Texas, an aunt, Mrs. Alice Gholston, of Carson, California, a niece, Lisa Tharpe of Paris France and numerous cousins. The family suggests memorials to Spelman College, the ALS Society or a charity of your choice. The ultimate recognition for Courtney is for each of you to pledge to have a servant mentality and help your fellow person.